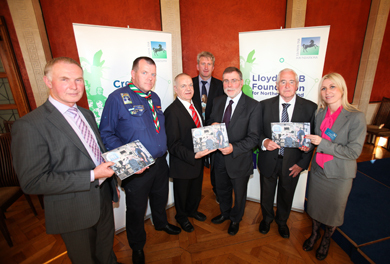 THE work of South Down community organisations has been recognised at a special reception at Stormont organised by the Lloyd’s TSB Foundation for Northern Ireland. Windsor Bell and Richard Morrison from the Kairos Centre in Newcastle and John Hanna and Pat Higgins from Downpatrick Scout Hall joined representatives from groups across Northern Ireland who received funding from the Foundation. Attending the event were: Windsor Bell (Kairos Centre), John Hanna (Downpatrick Scout Hall), Eamonn O’Donnell (Enagh Youth Forum), Richard Morrison (Kairos Centre), Social Development Minister, Nelson McCausland, Pat Higgins (Downpatrick Scout Hall) and Lloyds TSB Foundation Trustee, Janine Donnelly. The Downpatrick Scouting Ireland group received a grant of £4,000 towards its development officer’s post, while the Kairos Centre received £3,000 to support its Get Fit Get PHAT Girls Programme. Also present was Stanley Tomkins and Ivan Henderson from Kilkeel Parish Bridge Association, which received £15,000 from the Creating Change Programme to support its youth outreach and cross community work and Avril Johnston and Emma Trimble from Cloughskelt Rural and Cultural Association, which received £982 to buy chairs, tables and a PA system. The Lloyds TSB Foundation for Northern Ireland celebrated the work of more than 500 organisations which have touched the lives of nearly 200,000 disadvantaged people. Representatives from many of these groups visited Parliament Buildings at Stormont for a special event to recognise and celebrate their work. Through its six grant programmes over the last year, the Foundation released funding of £1.86 million to 565 charities and community and voluntary groups from every corner of Northern Ireland. Stanley Tomkins (Kilkeel Parish Bridge Association), Avril Johnston (Cloughskelt Rural and Cultural Association), Social Development Minister, Nelson McCausland,. Emma Trimble (Cloughskelt Rural and Cultural Association), Lloyds TSB Foundation Trustee, Janine Donnelly and Ivan Henderson (Kilkeel Parish Bridge Association). Sandara Kelso-Robb, Executive Director of the Lloyds TSB Foundation for Northern Ireland, paid tribute to the incredible work carried out by all of the community-based organisations. “Through these grants programmes we provide significant support for the most vulnerable in society making a huge different in communities throughout Northern Ireland. It is a privilege to work with many thousands of people throughout Northern Ireland who are at the forefront of delivering positive change,” she said. She was speaking at a special reception in the Long Gallery in Parliament Buildings where MLA’s and members of the Foundation and Lloyds Banking Group joined representatives from groups across Northern Ireland to recognise and celebrate their achievements. 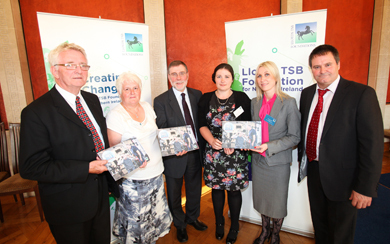 Social Development Minister Nelson McCausland said at the event: “The Lloyds TSB Foundation for Northern Ireland supports some of the most worthy causes in our society and offer a vital boost to some of the most deprived communities. It is my pleasure to endorse their good work, in the last year alone they invested £1.86 million in 565 grassroots charities and organisations. This investment has benefited over 200,000 of the most disadvantaged in society. Since it was formed in 1986, the Lloyds TSB Foundation for Northern Ireland has contributed nearly £29 million to a vast range of projects aimed at supporting those who are disadvantaged or disabled within our communities. 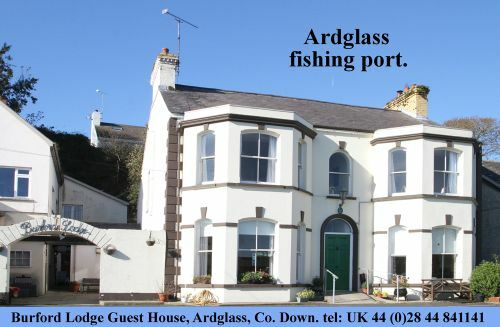 It has recently changed to an online application process, which is much more accessible and environmentally friendly.